Assemble the meat mixture into small balls. Heat the olive oil and add the meatballs, flipping them every 4 minutes until all are brown. Boil water adding salt and a little olive oil to it. Once it starts to boil add the lasagna sheets and boil for 10 minutes. 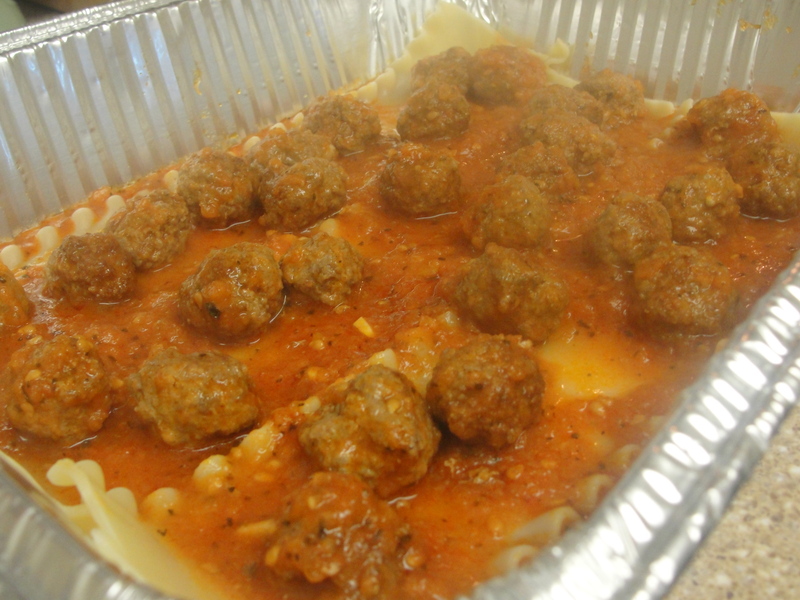 Put in a baking sheet a layer of marinara sauce. 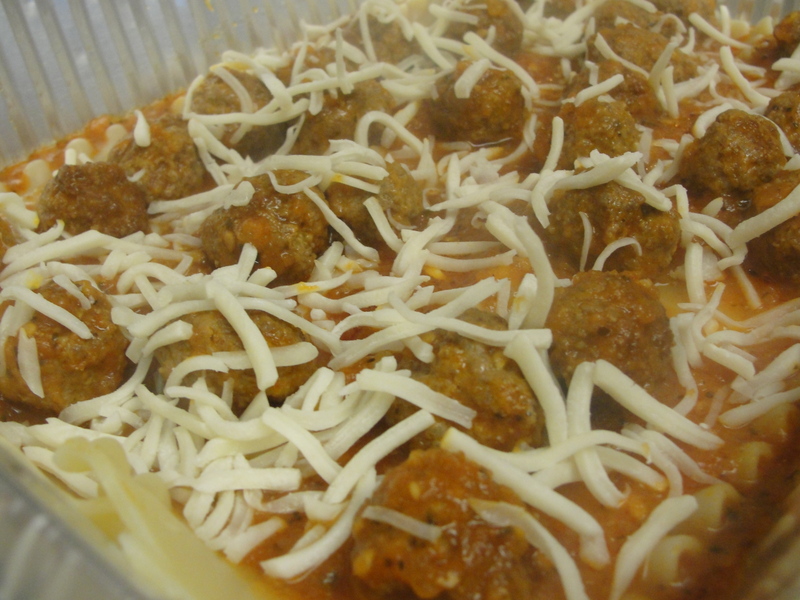 Add a layer of lasagna sheets then add half of the meatballs on top of it sprinkling some mozzarella cheese. 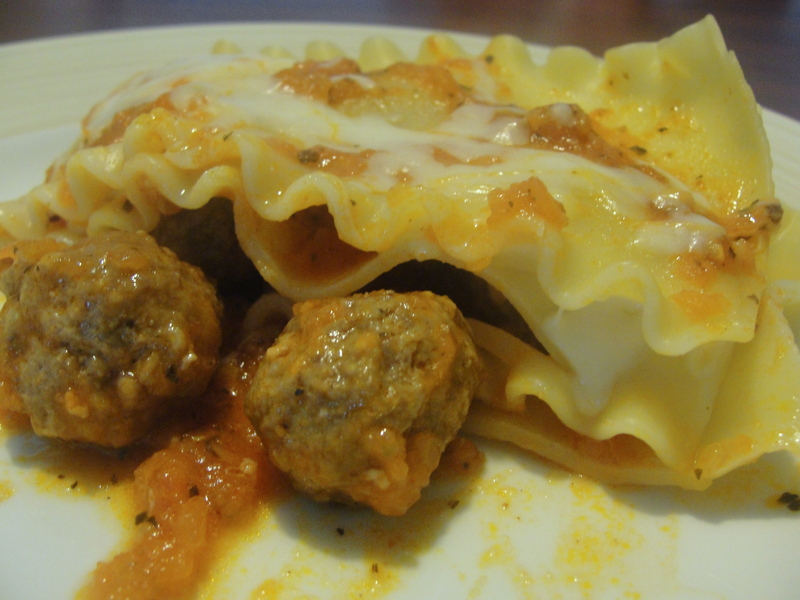 Add another layer of lasagna sheets and the rest of the meatballs with some cheese as well. 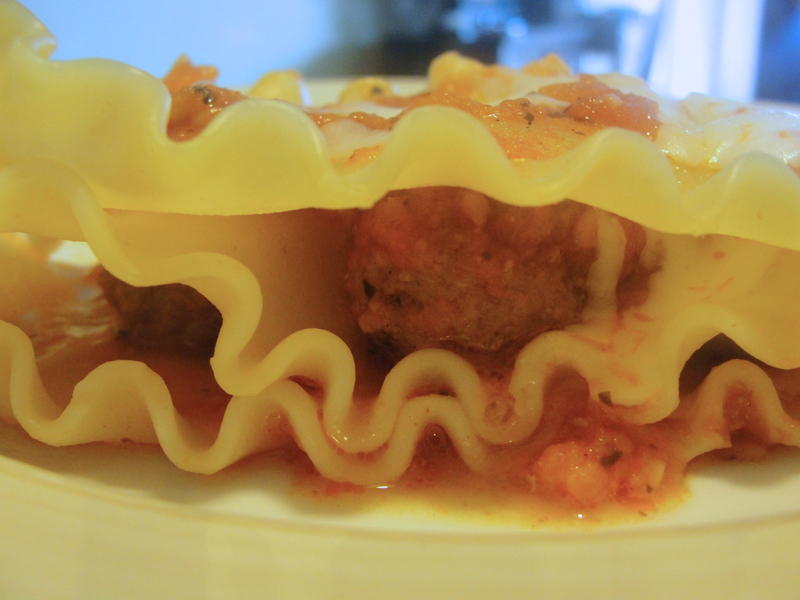 Add the last layer of lasagna spreading marinara sauce then mozzarella cheese. 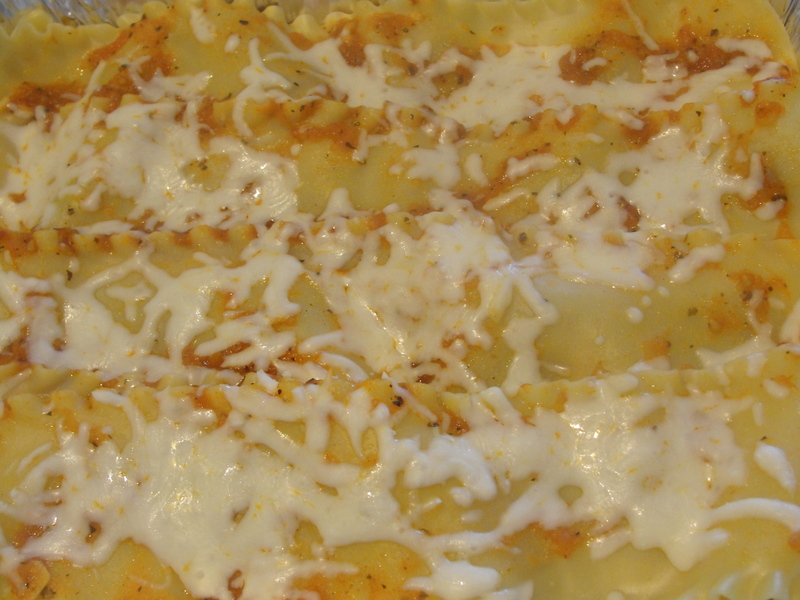 Put in the oven at 350F for 10 minutes or until the cheese melts. 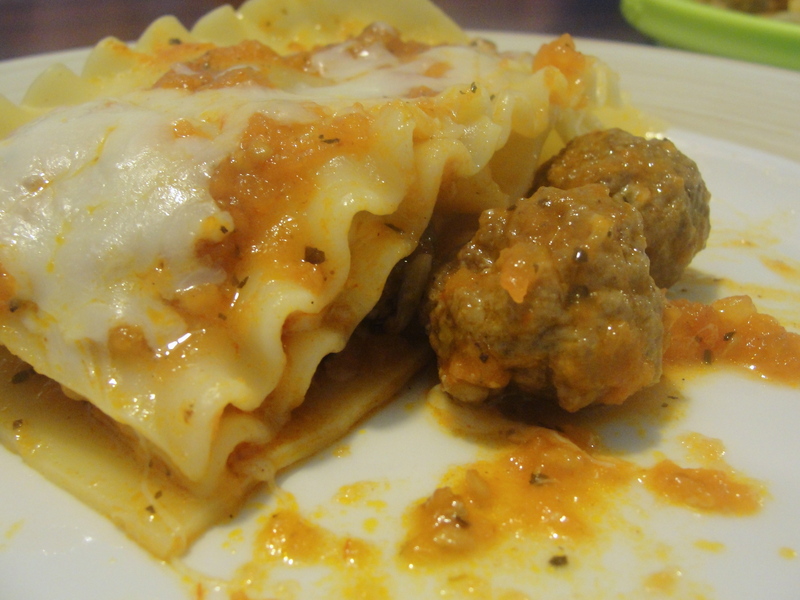 This entry was posted in Meat and tagged Cooking, Food, Italian, Lasagna, Life, Marinara Sauce, Meat, Meatball, Photography, Recipe. Bookmark the permalink. Looks so good, my family would love this!